If you’re looking for jewelry that has a vintage essence but also has modern touches, having one of the handmade rings from SN Queens Jewelry is a must. SN Queens Jewelry offers new and vintage jewelry as well as loose diamonds for those looking to customize rings. The radiant and one-of-a-kind rings offered at this store are classically decadent. These rings will make your fiancé the envy of all the other women in town. California hasn’t seen a selection as varied as this at any other store. Liza Shtromberg is the mastermind behind the handcrafted jewelry at her namesake jewelry store in Los Angeles, Liza Shtromberg Jewelry. Liza is following in her father’s footsteps as a jewelry designer and maker. She was raised all over the world and thus considers herself as coming from many different backgrounds. She brings her unique background and personal style into every piece she makes. Her care and attention as well as selection and customizable options keep customers completely satisfied and coming back for more. 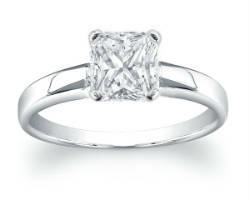 When shopping for the ring that will wow your future wife, you want to go to trusted jewelers like Capri Jewelry Inc. 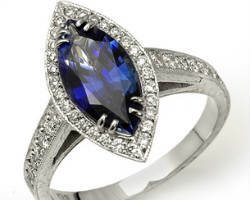 This store not only has the widest variety of engagement and wedding rings in Los Angeles, but also has experts behind the counter that you can trust. The staff at Capri does not work for commission, so there is no benefit to them in selling you a ring that isn’t the right one for you. This store wants to educate its clients so they only choose the right ring. KFK Jewelers Inc. is a company that has it all and does it all. 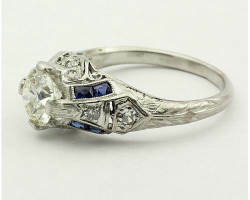 They offer new, and modern rings, as well as a collection of vintage estate jewelry, and custom rings as well. They have this huge selection but can also help you once you’ve bought jewelry as they specialize in repairing rings as well. They have rings of every age, stone, and size you could imagine and all at competitive rates. Shopping here means finding the ring you’ve always wanted. 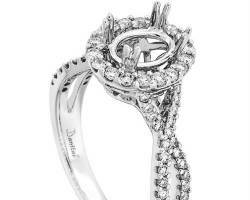 LA Diamond is distinctive in the wedding ring industry. 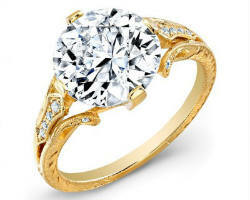 They offer a variety of rings and other jewelry, but they also offer rings that are missing something; the diamond. With many sets to choose from, you can then choose from one of their radiant diamonds to make the ring complete. Being able to choose the stone puts you in control of its size and price. LA Diamond also offers incredibly affordable rates on some of the highest quality jewels, often presenting clients prices that are only half of the retail value.